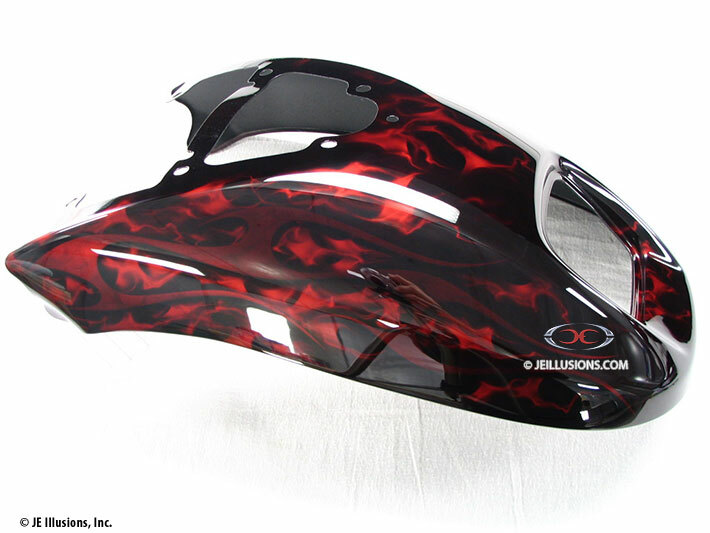 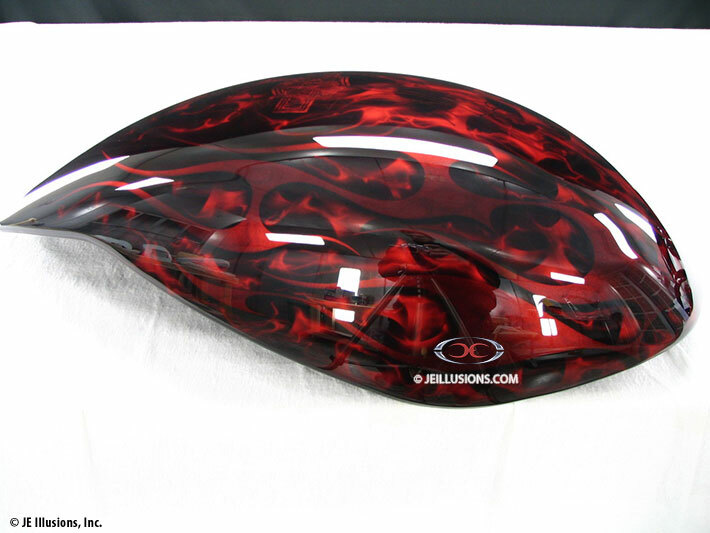 Beautiful airbrushed Orange and Red flame effects highlight this paint job. 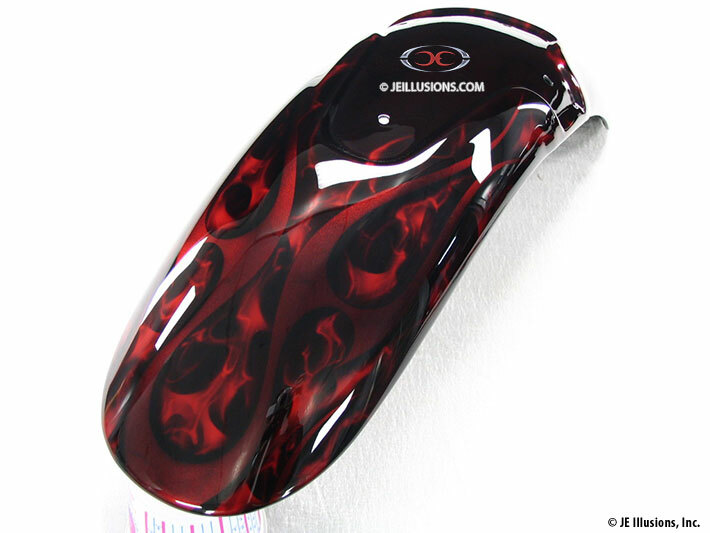 The flames weave around a very subtle blade design that blends into the high gloss Jet Black under base. 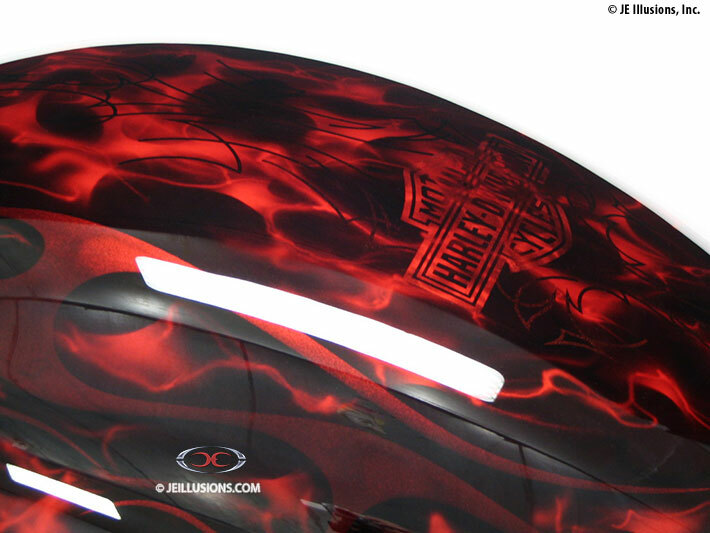 A Harley-Davidson logo sits on op of the tank, surrounded by the flame design.